Sense Herakles V2 Tank is a subohm atomizer with 2ml capacity. It features top filling, adjustable airflow, adjusted juice control and Tri Parallel Coil design. Herakles V2 is a high performance tank you don't want to miss. Sense Herakles V2 Subohm Tank, with 2ml capacity, it features top filling, adjustable airflow, adjusted juice control and Tri Parallel Coil design. Providing both excellent flavor and vapor, Herakles V2 is indeed a high performance tank you don't want to miss. 3 colors. • It is compatible with Herakles Plus coils. Nice looking, great flavor, no leaks and top filling. 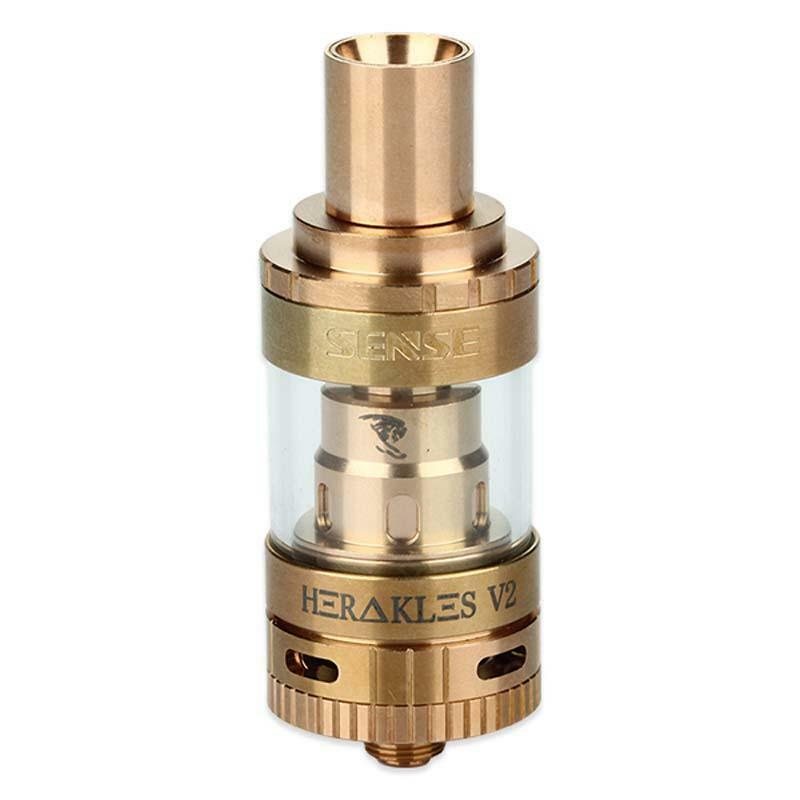 You can try Sense Herakles V2 Tank. So glad to get my Sense Herakles V2 Tank. The Herakles V2 coils can last long. Enjoy your vaping! Pretty tank! It will be better if the e-juice capacity can be bigger. Great flavor of Sense Herakles V2! Great customer service!